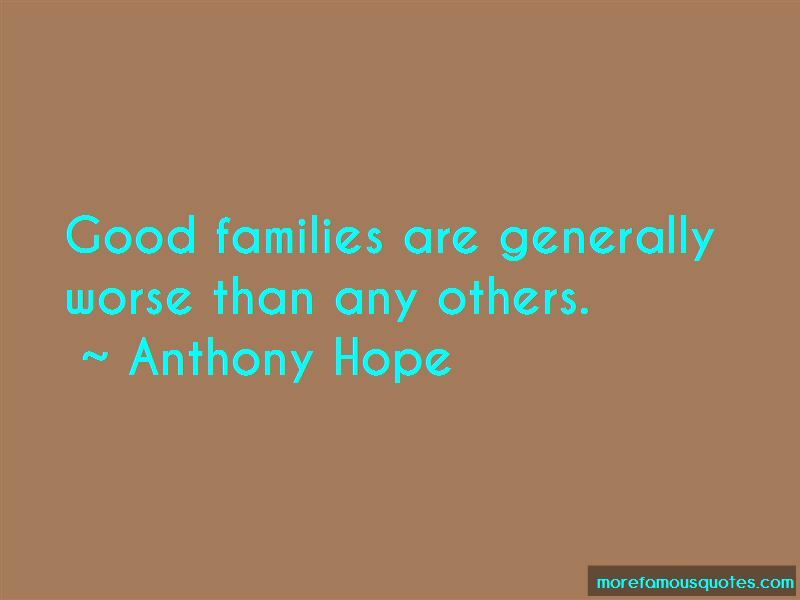 Enjoy the top 20 famous quotes, sayings and quotations by Anthony Hope. my heart in the hollow of your hand! But is love the only thing? would have let the King die in his cell. Old Sapt's mouth wrinkled into a smile. Yet, unless he sets up as a saint, he need not hate himself for them. He is better employed, as it humbly seems to me, in giving thanks that power to resist was vouchsafed to him, than in fretting over wicked impulses which come unsought and extort an unwilling hospitality from the weakness of our nature. 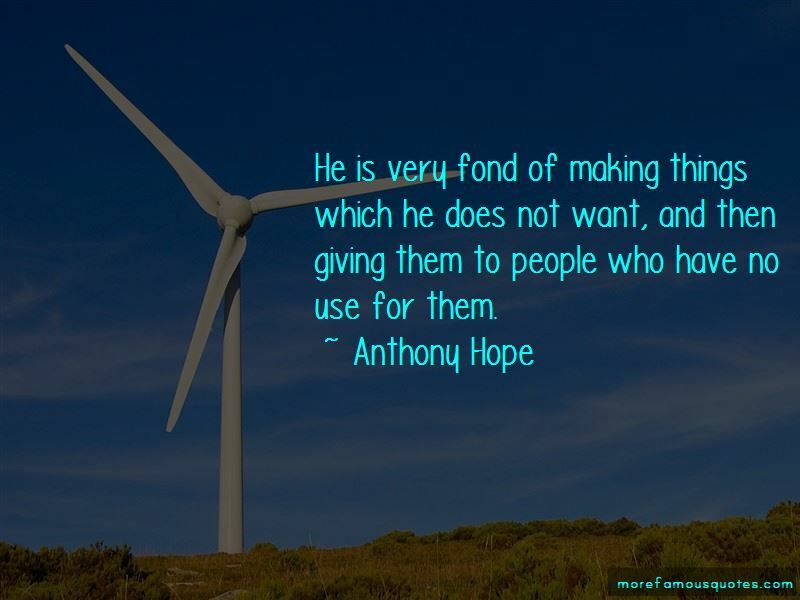 Want to see more pictures of Anthony Hope quotes? 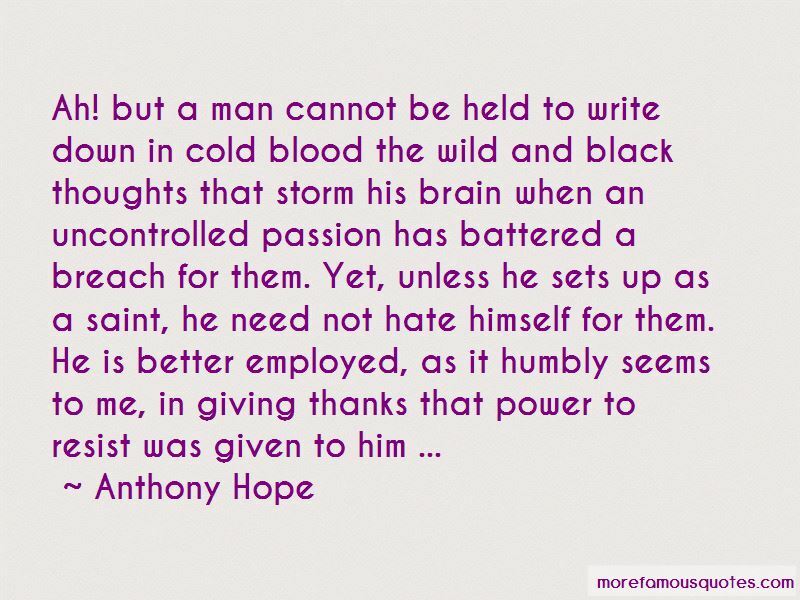 Click on image of Anthony Hope quotes to view full size.